The estate of Feudo Arancio includes a century-old olive grove that cultivates a variety of characteristic olives found particularly in western Sicily, such as Cerasuola and Nocellara del Belice. 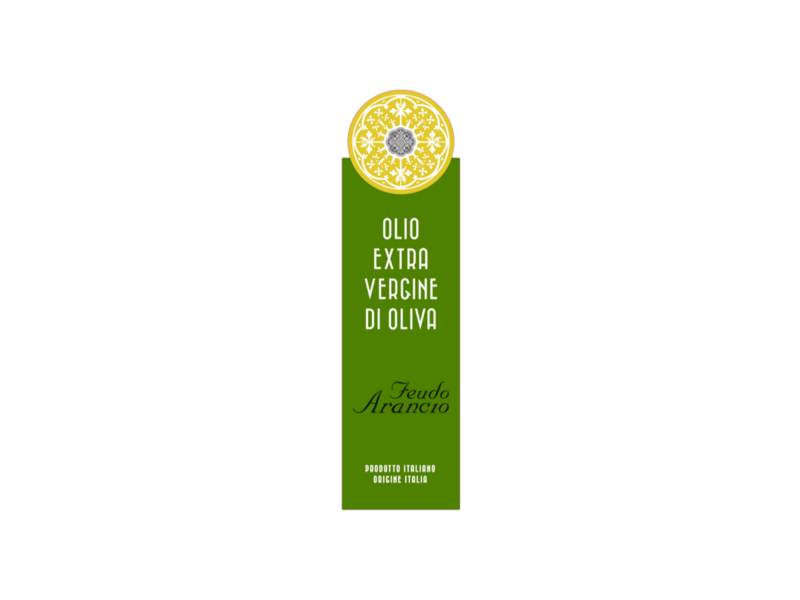 These exceptional olives are carefully hand selected and many are extracted within twelve hours and a fragrant, fruity and rich in taste extra virgin olive oil results. It complements the best dishes from the Mediterranean cuisine. 1.200 ft above sea level. Color: Golden yellow with green highlights. Fragrance: Intense, fruity and elegant. Taste: Medium fruitiness, rich, well-balanced bitter and spicy flavours. The intense fragrance and rich decisive flavour make this olive oil an ideal ccompaniment that enhances the flavors of lentil and bean soups, baked fish, grilled red and white meats, salads and vegetables.